We have an exceptional selection of Japanese Koi. The Koi Keepers exclusively sell Imported Japanese Koi and have the finest selection in New England. They range in size from 4” to over 20”. Koi should be true to type and ours look like the variety that they are and grow into themselves with great beauty, color and structure. Like a fine pedigree animal. Not only do we sell Koi, we live with them and raise them as our own. They are fed a high quality food so you won’t find skinny undernourished Koi with us like from so many places that ship out in quantity. Our Koi are very friendly too, hand feeding is something they really enjoy. We cater to the serious novice and the experienced Keepers, love to share knowledge that most don’t reveal and are willing to answer all your questions to help guide your way. Education about the Nature of Water is just as Important as the Koi that live in it. Water and its columns are a living organism. Enough stress can not be placed on the biomechanics of water quality and the essence to keeping fish healthy to flourish for many years to come. The Koi Keepers give one on one attention to each and every customer so that they walk away with confidence bringing many years of enjoyment to there ponds and Koi. Have fun walking around the grounds relaxing while gazing at the colorful Koi and experience a magical peaceful serenity. 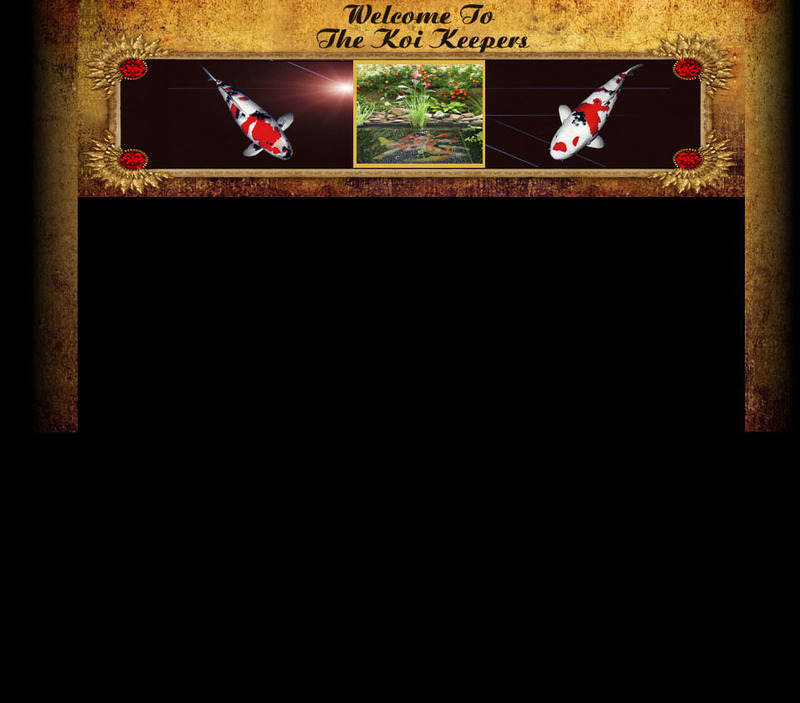 The Koi Keepers fish will surely dazzle your mind and make a paradise in all your garden ponds. Visit our Koi Varieties Gallery for an extensive look at all the types of Koi that are available today. Learn about Ancestry, Health, what to do when things go wrong and more within our site. We look forward to seeing you. We also offer other services like Consultation for diagnosing sick fish or ponds and microscopic evaluation.